It is a sacred honor to witness “Holy Aha Moments” for those I accompany as a spiritual director, coach, and facilitator of workshops and retreats. Being in the presence of how God draws people to new experiences of freedom and ever-deepening awareness of His Love and Grace in their everyday stories is a privilege and a joy! 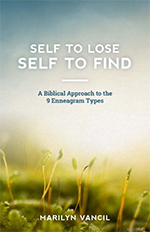 I’ve been passionate about the Enneagram personality model and its value in Christian spiritual transformation for over thirty years. My workshops and retreats focus on how this self-awareness tool helps people identify barriers to living out their unique expression and experience as one created in God’s image. 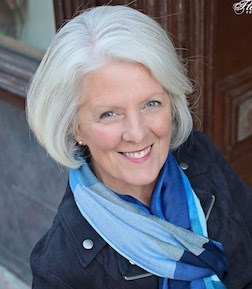 I earned my certification as an Enneagram Professional in the Narrative Tradition through Enneagram Worldwide, and have also taken courses on the Enneagram at Loyola University and the Deep Coaching Institute. I completed my spiritual director training through SoulStream and my coaching instruction through Coach Training Alliance. I enjoy life in Seattle with my husband, Jeff. Our four children, their spouses, and our ten precious grandchildren bring us unlimited delight! Save 20% on the Reflection Guide when you sign up for my newsletter. Receive blog posts, event dates, and other news updates! Which Picture are You Living in? Living like a Beach Ball! Save 20% on the Reflection Guide!